I’ve been fortunate enough to visit Greece a couple of times already over the last few years, spending time in Athens and on honeymooners’ paradise Santorini. 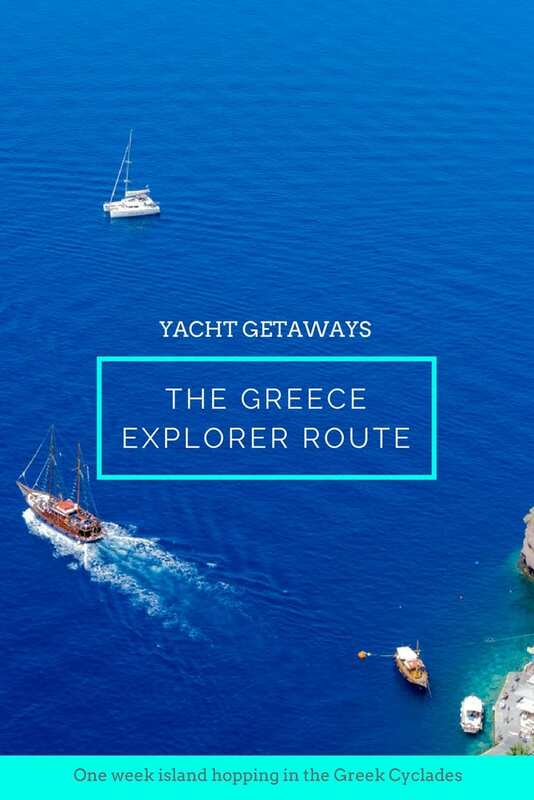 However, it wasn’t until my week sailing the Yacht Getaways Greece Explorer route through the Cyclades that I truly fell in love with the country. 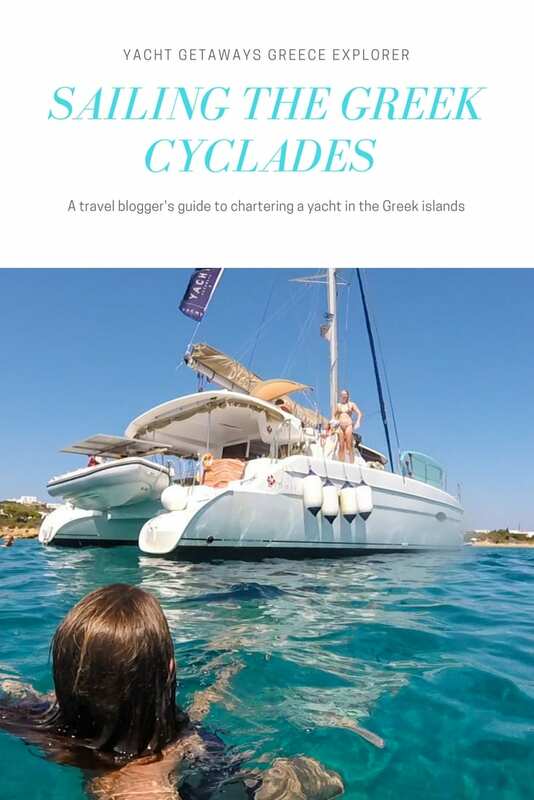 If you’ve landed on my blog because you’re looking for a Yacht Getaways Greece Explorer review (and you don’t want to read the many itinerary spoilers in the copy below), I can tell you right now that within the first five minutes of arriving on board you’ll realise that you bagged the best yacht charter in Greece. Go ahead and book for next season, it’s not a decision you’re going to regret. Contemplating sailing with Yacht Getaways in Croatia? 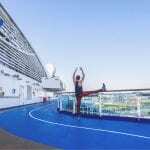 Read my trip report from a week aboard their Croatia Explorer. Fancy a little insta-inspiration for your time on the water? Read on. 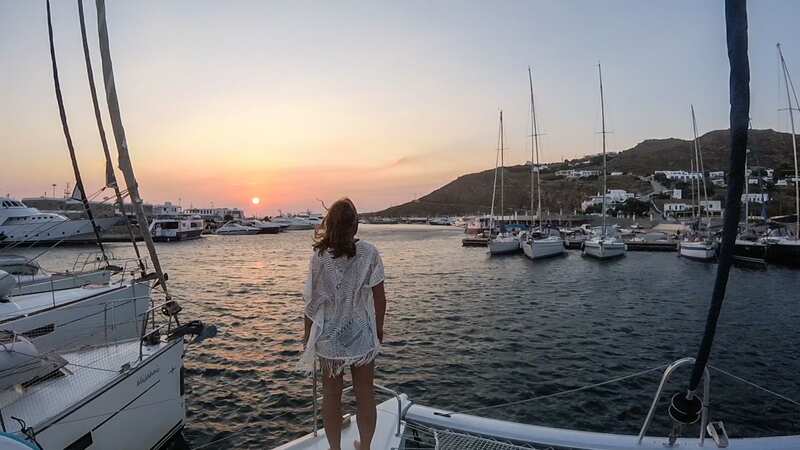 Mykonos, Ios, Santorini, there are a number of famous faces amongst the week’s itinerary, and after flying direct into Santorini from London and hopping aboard a Hellenic Seaways ferry to Paros, my week began with a sunset sail to the neighbouring island of Antiparos. Sailing south from Paros, the late-afternoon breeze propelled us toward the port of Antiparos where we were to moor in the bay for our first night on the water. Host Jo and Skipper Colin used the time to familiarise us with the boat and talk us through the planned route for the week. 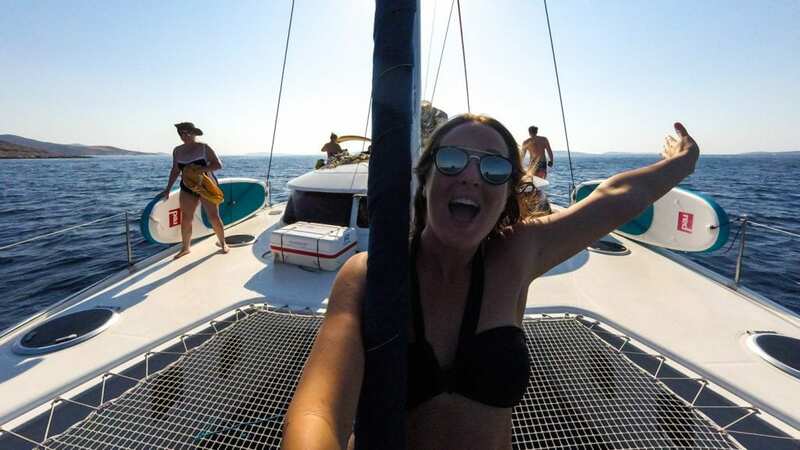 There were a couple of potential changes to the itinerary due to heavy winds that were forecast for later in the week, but they were confident that we’d still get to see the majority of the islands, so on we sailed. 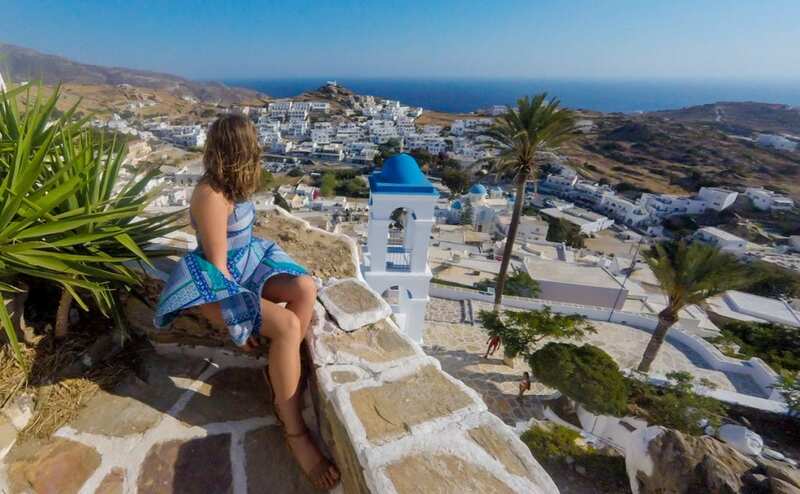 Often overlooked in favour of its headline-hitting neighbours, Antiparos isn’t known for its nightlife, high-end shops, and island tours. 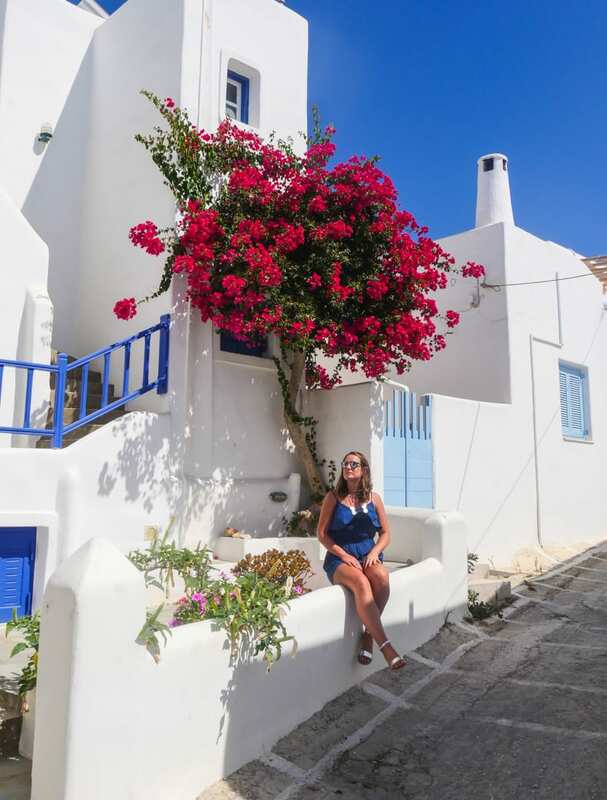 Instead, this central Cycladic hideaway boasts endless white-washed towns, quaint fishing ports, and secluded swimming spots. On Antiparos, old men sit beneath ancient oak trees playing backgammon while the hippies who found themselves here in the 1970s still run nudist campgrounds. This isn’t an island full of party-going twenty-somethings, although like all traditional Greek communities the Ouzo flows freely every night. Restaurant: Kalokeri – fresh, seasonal ingredients are served up in a modern Greek style. Bookings are essential. There’s something magical about waking up on a yacht that’s moored in a quiet bay. First you hear the water gently lapping at the hull, and then as you open the hatch-window that sits above your bed, sunlight and a crisp ocean breeze wake you from your slumbered state. I’m pretty sure I could easily become a morning person if this was the way the world greeted me every time I woke up. Leaving Antiparos behind we set sail for neighbouring Ios, an island I was excited to explore as I’d heard there were a number of churches atop a hill offering particularly picturesque views of the harbour. Before my trip I’d seen pictures of Ios on Pinterest. A typically Greek scene the main town (Ios Chora) sits high on a hillside; its cobbled streets a labyrinth of white-edged stones. Arriving into the port (a short bus ride from the village), we moored up on the key heading, threw some beach-wear in a daypack, and set out to scale the distant peak where a blue-domed church and three other ecclesiastic forms stood proud in the afternoon sun. I knew I’d find a photo-worthy scene at the top so it was first on my list of sights to see. 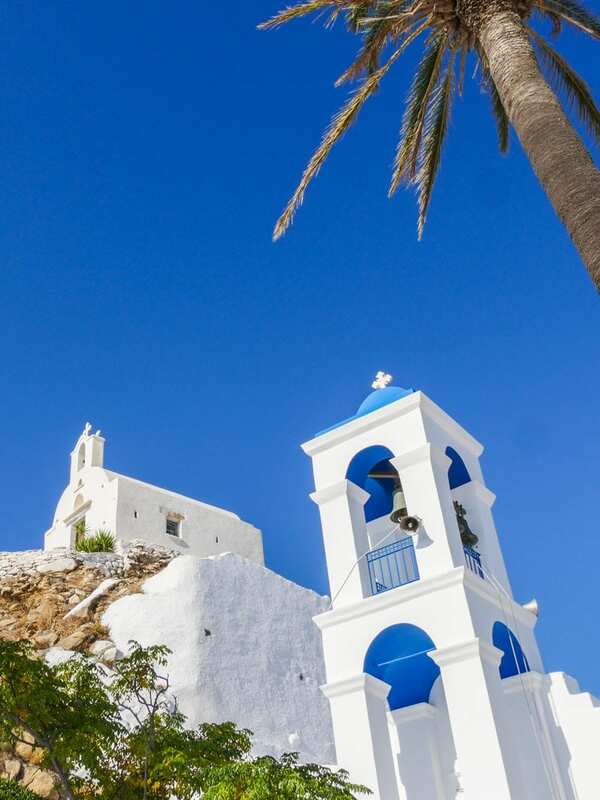 The Church of Panagia Gremiotissa (the Saint protector of the island) can be seen from almost everywhere in the town of Ios and is easily found by navigating its narrow lanes that ascend the hillside. From the top, views of island and ocean dominate the scene. I was surprised to find we had the site to ourselves and so made the most of the opportunity capturing the perfect Instagram to share the moment with the folks following my trip. Are you watching my Instagram Stories? 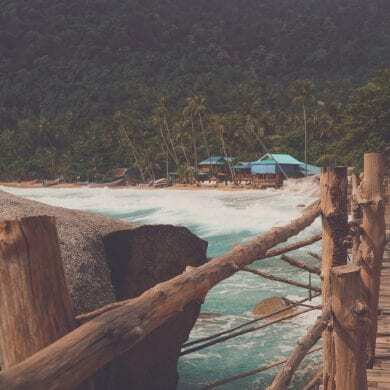 Follow me @wanderlustersUK for travel inspiration! 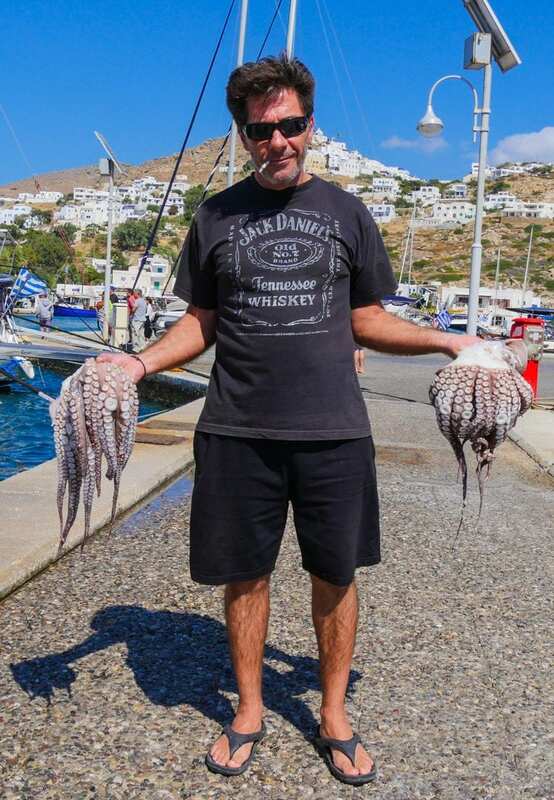 Sundowners: The Octopus Tree – while their tapas style menu is a little on the expensive side (for the portion size offered), I’d highly recommend this port-side spot for a sundowner. Sit, relax, and watch as fishermen haul their catch of the day onto the dock. Dropping anchor in a Alimnia Bay on the coast of Iraklia we hit pause on our morning sail out of Ios in favour of a swim stop and a light lunch. For it was here, as Skipper Colin informed us, that the skeleton wreck of a German WWII Arado 196 Seaplane lay at a depth of about 15 metres – see pictures. Snorkels on we splashed about in the relative shallows for an hour or so, exploring the wreck and SUPing along the shore, before refuelling on fresh pasta and continuing our journey towards the islands of the Lesser Cyclades. After sailing for the best part of the day and mooring in the small port of Mersíni, we sat on the deck and drank gin and tonics as the late-afternoon light danced across the shore. 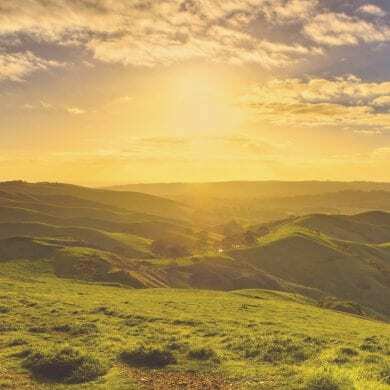 Then, after a reasonably aerobic walk up the hill to the charming town of Hóra, I found myself sitting with a cucumber martini in hand, watching the sunset from a balconied restaurant in the hillside. 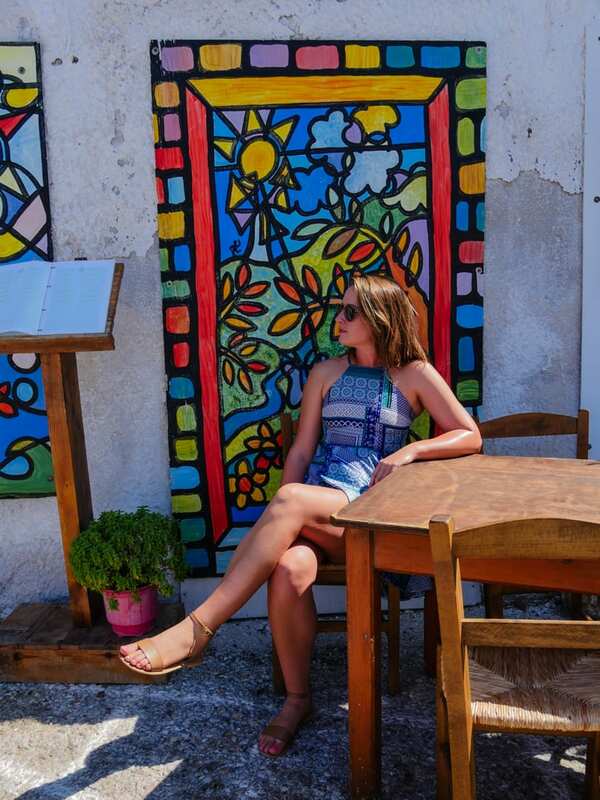 Relatively untouched by Greece’s insatiable summer tourism trade, Schinoússa sits a little over five kilometres from the southern shores of Naxos and boasts deserted beaches, patchworked landscapes, and quaint fishing towns. From Hóra you can reach no fewer than sixteen beaches dotted around the island, accessible by a network of dirt tracks. On a clear day you can see the nearby islands of Santorini and Ios, head to Alygaria Kampos beach for the best chance of a sighting. Restaurant – Deli – a charming restaurant and cocktail bar, Deli boasts a modern interior and rural vistas from its balconied position overlooking the ocean. Cocktails are expensive, but well worth the splurge. The Meltemi Winds sweep across the Greek islands during the late summer and it was on the fourth day of my trip that they made their presence known. Waking up to the sound of the yacht’s engines motoring, I arrived on deck in my PJs to find Skipper Colin at the helm and a palette of ochre tones lighting up the sky. Still within the relative shelter of the Lesser Cyclades we stopped for breakfast in a deserted bay on the south coast of Naxos and made the most of the opportunity to swim in the clear, clam waters. Our planned route would take us north along the leeward side of Naxos and out into the Aegean Sea where we’d have little protection from the force of the Meltemi, which had picked up and were causing an increasing swell. It’s at this point that I’ll suggest that for anyone who has never sailed on open water, or suffers from motion sickness, a packet of seasickness tablets are a worthwhile purchase regardless of where and when you’re sailing. 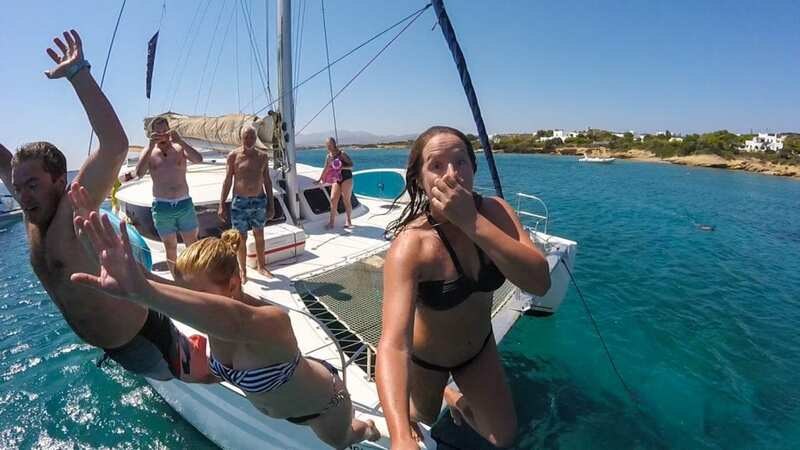 Mother Nature can be unpredictable and if you’ve got a competent skipper (and an adventurous crew), one tablet could make the difference between an exciting few hours on the water, and a stomach-churning experience you’d rather forget. Dosed-up and psyched-up we left the comfort of Naxos’ shores and set out on the crossing to Mykonos. The waves peaked and troughed and my crew-mates snoozed in the galley. I could imagine that, when the water is calm, this part of the route would be a great time to relax on the bow, read a book, and soak up some rays. 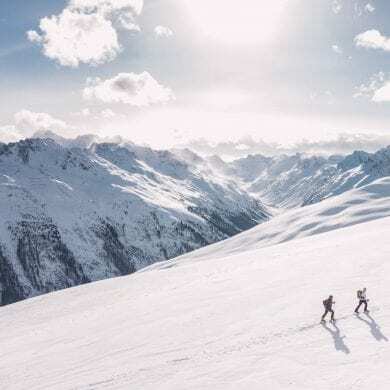 Fear not, the Meltemi doesn’t stick around all season so you may be lucky and find yourself enjoying the later during your trip. As we approached Mykonos’ southern coast there was visible relief on everyone’s face. However the previous four hours had not dampened the sense of excitement at the prospect of exploring another new destination. 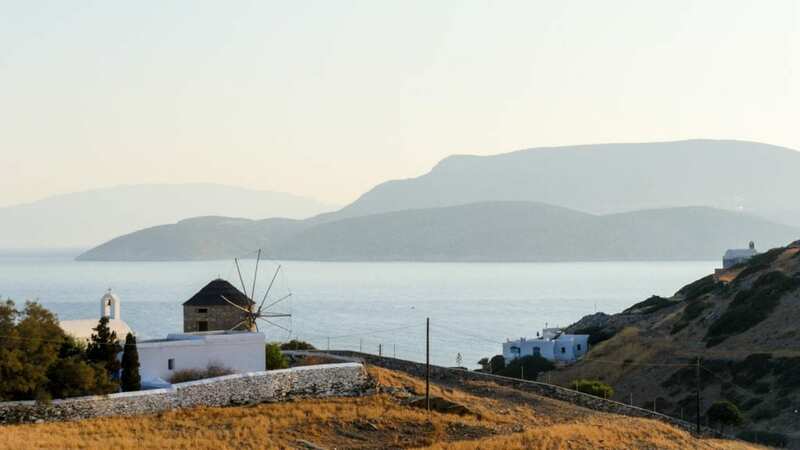 Renowned for its rolling hills, historic windmills, and white-sand beaches, Mykonos has long been a destination for those seeking a vibrant island escape. 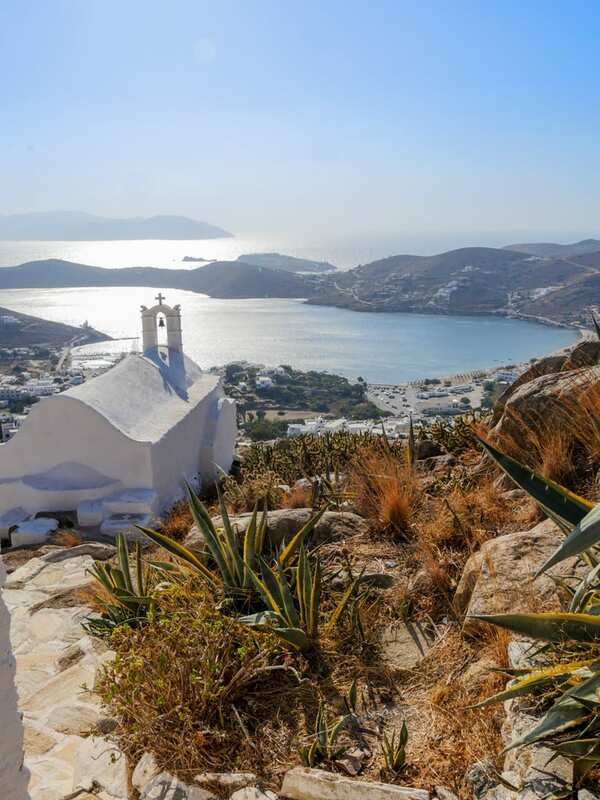 In the summer months its night-owl culture attracts the international jet-setting crowd, many of whom are beginning to choose Mykonos in favour of other idyllic party islands like Ibiza. From the New Port, where your yacht will moor on arrival, you have the option of taking a bus (which runs every half an hour until 1am), or water taxi to the Old Port which acts as a gateway to the main town. Here you’ll find water-front restaurants, chic boutiques, and stylish cocktail bars with alfresco street-side seating. Possibly the island’s most iconic feature however, is the row of windmills that stand overlooking Alefkandra harbour. White-washed and without sails, they stand silently, no longer used to mill wheat their existence now just a reminder of the island’s past. The windmills are a popular point of interest so if you’re keen to capture a tourist-free photo catch the bus into town for an early morning amble prior to departing the port. Or, if you’re planning to party all night head there for sunrise before you head back to the boat for a snooze. Restaurant: Eva’s Garden – tucked away in the back streets of the Mykonos town I stumbled upon this restaurant by pure chance. Simple, classic dishes packed with flavour are served in an alfresco style-indoor garden room hidden away behind the entrance to the restaurant. Try a portion of Mama’s Soutzoukakia, they’re divine. With the Meltemi Winds losing power over night, the following afternoon we set sail south towards the island of Paros and the idyllic port town of Naoussa. Thanks to the hefty tail wind and calmer waters I was able to lay out on the deck and catch some Zzzzzs in the ocean air. Mooring in the bay off the coast of Naoussa Skipper Colin taxied us across to the shore where we picked up a cab into town and ate at the effortlessly elegant Barbarossa restaurant on the harbour-front. With the sun already setting it wasn’t until we returned to the town the following morning that I was able to appreciate its beauty. Hugging the cobbled docks of a small fishing port the alfresco dining rooms of restaurants, bars, and cafes spill out to the water’s edge, creating an almost celebratory atmosphere as people drink and dine throughout the day and night. Unassuming in its appearance, unlike other places I’ve seen over the last few days, Naoussa doesn’t appear to be trying to create an affluent, sophisticated vibe, it just is. Restaurant: Barbarossa – This water-front restaurant wraps itself around the northern edge of the harbour and encompasses a picturesque church outside which its dining table sit on cobbled stones. Serving fresh seafood and delicious local wines, the prices aren’t the most practical for budget travellers but the memory of the fresh, island flavours are well worth the price. I say ‘stranded’ because the tempestuous Meltemi Winds had returned and our Skipper Colin made the intelligent call to remain moored in the bay after seeing a mega yacht struggle to take on the swell that had whipped up the water over night. 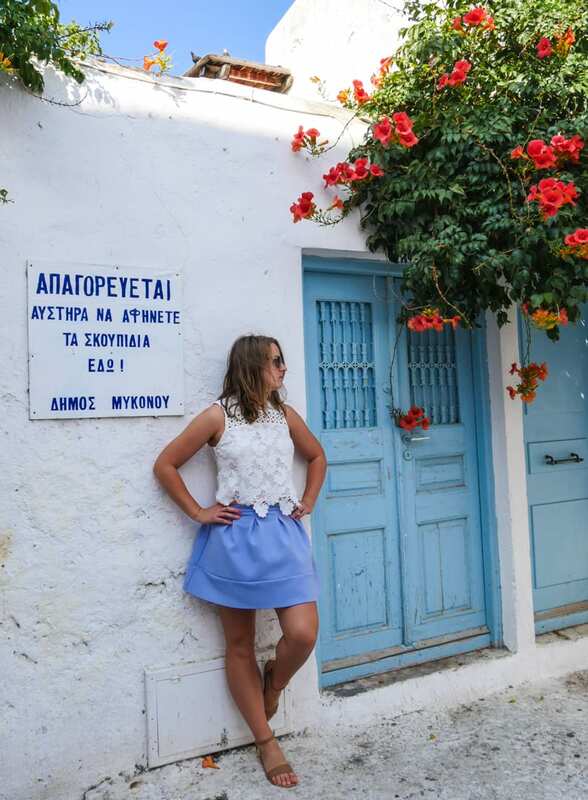 However, finding myself back in Naoussa I didn’t feel like I was being cheated out of exploring Naxos (which was our next planned stop), more like the opportunity was a treat from the Gods who had seen how the town had stolen my heart. Our Host, Jo, knowing us reasonably well by this point during the week, suggested that we take a walk to a nearby winery where regional and local wines were served up on a tasting menu that included fresh cheeses, meats, and bread. This, along with a leisurely amble through the narrow streets of the town is a must-see sight if you ever find yourself in Naoussa with time to spare. A sweet treat: Nonna Crema – for delicious homemade ice creams in traditional and off-the-wall flavours try Nonnas, you wont be disappointed (only open from 6pm). Arriving back into the port of Paros after a leisurely sail around from Naoussa I felt my heart sink as Skipper Colin tied on to the concrete dock from which we started our adventure. Despite the challenging Meltemi Winds my week aboard was just as delightful as that of my previous Yacht Getaways trip in Croatia last summer. Incredible landscapes, fantastic food, and great fun with a fabulous mix of people, my week was defined by the skill, hospitality, and humour of Skipper Colin and his First Mate and Host Jo. Without their expert navigation of the islands, picking out the best mooring spots, and sharing recommendations for each new place we visited, my experience wouldn’t have been half as memorable. 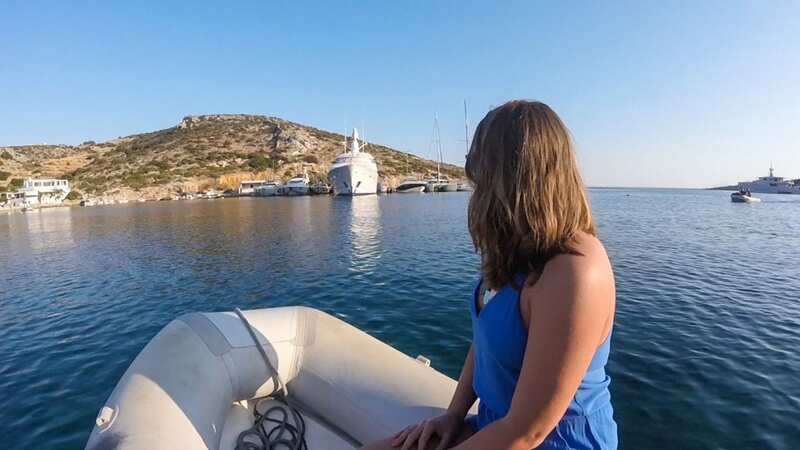 From Paros, to Antiparos, Ios, Schinoússa, Mykonos, and back, my time aboard the Greece Explorer has become the most favoured of all my Greek adventures. 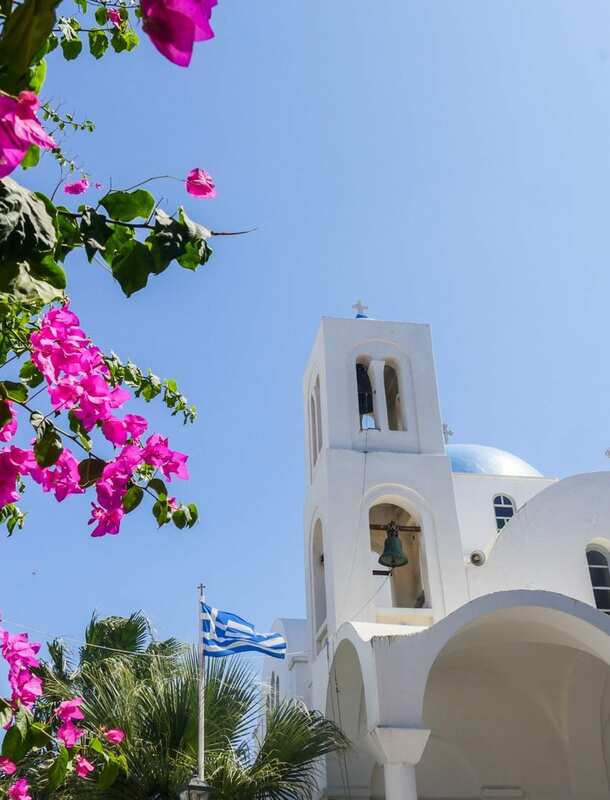 If you’re on a budget, consider searching for flights to and from nearby airports such as Athens, Santorini and Mykonos, and then check ferry fares to Paros. Inter-island flights can be costly considering the short time you’re in the air. Remember to factor in the cost of any taxis you may have to take in order to get between airports and ferry terminals. I flew into Santorini airport and picked up a ferry from the island’s port in order to reach Paros. The 12 minute taxi ride cost me €30 one-way. Similarly, if to you convenience is king, search for fares with connecting flights into Paros airport. If you’re inspired to book a yacht getaway this summer check out more pictures in @YachtGetaways Instagram gallery. 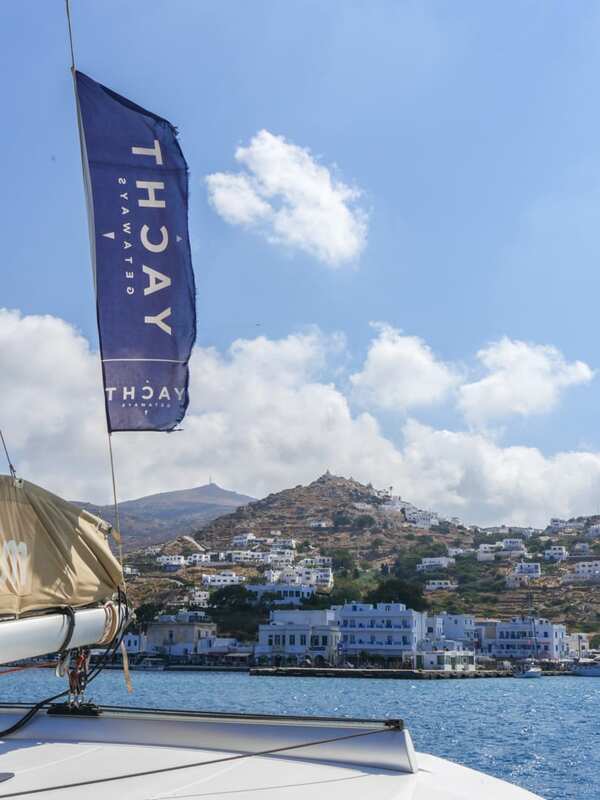 Have you been sailing in the Cyclades? Leave your comments below.